The project of 8 bit spectral analyzer can be used for tentative showing, but it can be good point for improve device. The project is based on MSP430G2553 MCU. The input is mic with LM358 opamp. 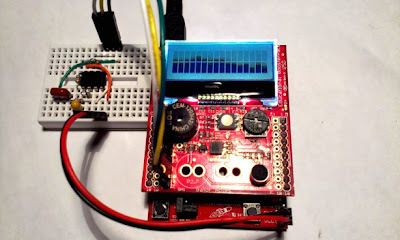 The output of opamp is connected to microcontroller. The levels are displayed on LCD 16x02 like bar graphs.